Actor Sonu Sood is a huge star not just in Bollywood but in Southern cinema as well. Yet, in his luxurious home in Mumbai, it is his humility that shines through its decor of function and aesthetics, combined with tranquil tones and beautiful textures. “Home is the best place to relax,” says actor and producer, Sonu Sood. 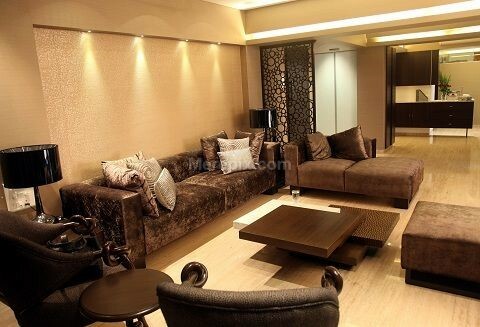 The luxurious 2,600-sq ft, four-bedroom hall apartment in Mumbai, successfully combines function and aesthetics. 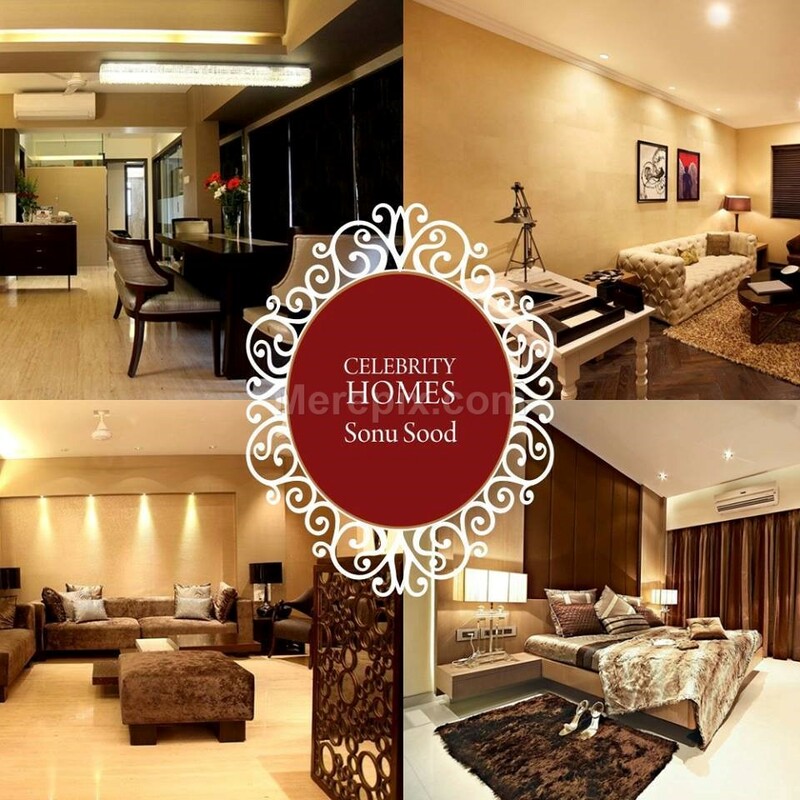 Sood’s house is located in Yamuna Nagar (Lokhandwala), Andheri west. This place is a hub for the film fraternity, says Sood. 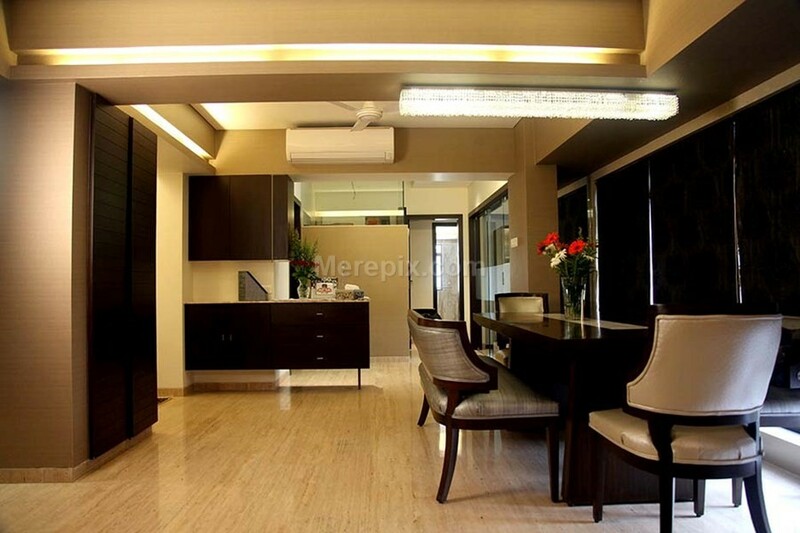 “I have been living in Andheri for many years, even before my career took off and I love this place. All my friends are close by. My gym, my children’s schools, good restaurants, various shopping malls and multiplexes, are all in the vicinity,” explains Sood. 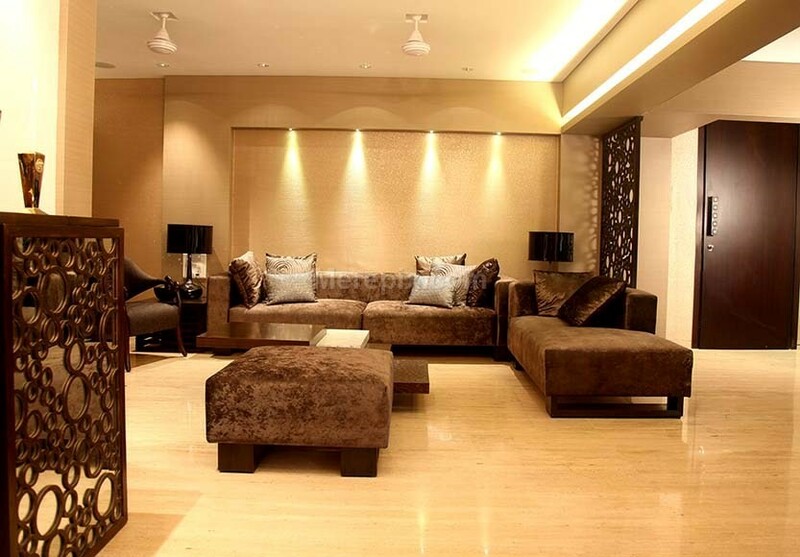 Sonu Sood designed his house, along with ZZ Architects (Zubin Zainuddin and Krupa Zubin, principal architects). 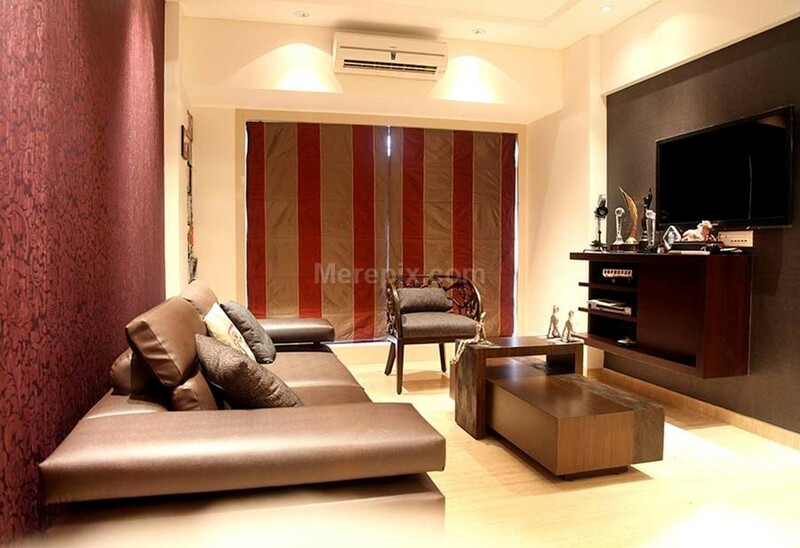 The home has been designed as per Vastu Shastra norms and keeping in mind the family’s needs. The entrance to the house, has an artistically crafted main door, with metal motifs of men at work, designed by Sood himself. The living room has Italian travertine flooring, while the walls are embellished with silk wallpaper and texture effects, which add a glamorous look to the home. One of the walls has a textured gold effect, while another has red wallpaper. The space also has an intricately carved teak wood partition, with circular motif designs that are repeated on the console table, as well. The living room’s seating arrangements, have velvet, beige and brown-coloured upholstery. Cushions with sequins, add a subtle contrast to the décor. The living room has a separate entertainment area, with leather sofas and red-coloured walls. Sood and his wife Sonali, got all the furniture for their home custom-made. Their personal touch is also visible, in the form of various beautiful contemplative Buddha idols and Versace candle stands, in glittering gold, which adorn the living room. “My wife and I have collected various Buddha statues, from our trips to Thailand. We have used some of them here, while the others are in our house in Monga Punjab,” says Sood, who has acted in Bollywood films, as well as Telugu, Tamil and Punjabi movies. Sood has made extensive use of glass, to give a feeling of space – as a partition between the kitchen and living room and even as one of the walls of a bathroom. A rectangular crystal chandelier adorns the ceiling above the dining area. 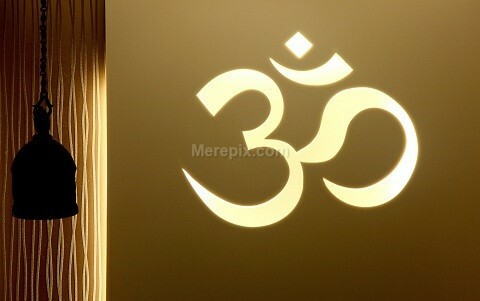 A temple near the dining area, adds to the calm atmosphere and has an Om inscribed on a Korean stone. The wardrobe shutters in the master bedroom, are also made of glass. 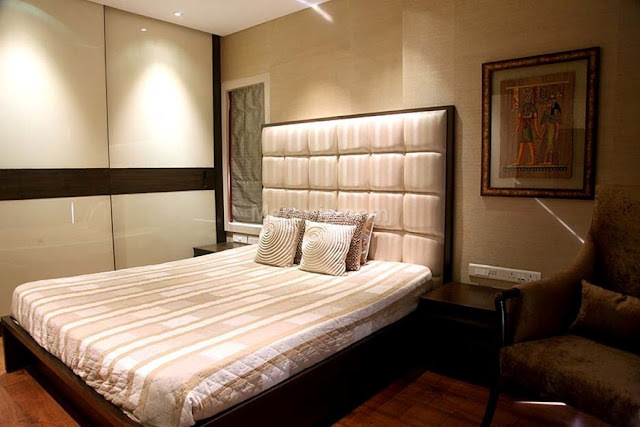 The wooden flooring makes the room cosy, while a huge off-white headrest for the bed adds elegance to the room. One space seamlessly merges with other another. Sood’s sons, aged six and 12, love football. 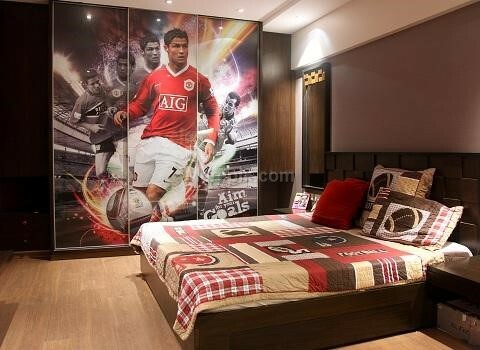 So, the wardrobe shutters in their room, has a huge colourful print of Portuguese football player Cristiano Ronaldo, with the words ‘Aim for your goals’ inscribed on it. All the rooms’ windows are dressed in fabric blinds, while the house also has various lighting options – from hidden lights and panel lights to task lights, to create different moods. “I love my home. It is the best place to relax in the world, with my wife and two sons. As I travel a lot, I value my stay at home. However plush a hotel may be, there is nothing more cosy and calming, than one’s own home. It is my personal heaven. My parents have stayed with me here and I feel blessed. Even though I have bought two more flats after this one, I love staying here,” Sood concludes. I didn't like the living room , but the bathroom looks amazing. I really love the combination of dark red and black colors, with chrome elements. It's so beautiful. I wish I could write more about house interiors, like this one! 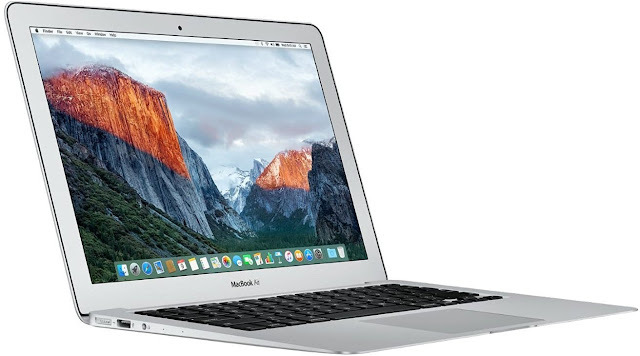 But instead I need to finish my article, called Machine Translation versus Human Translation: The Good and the Bad. It's so boring, actually.